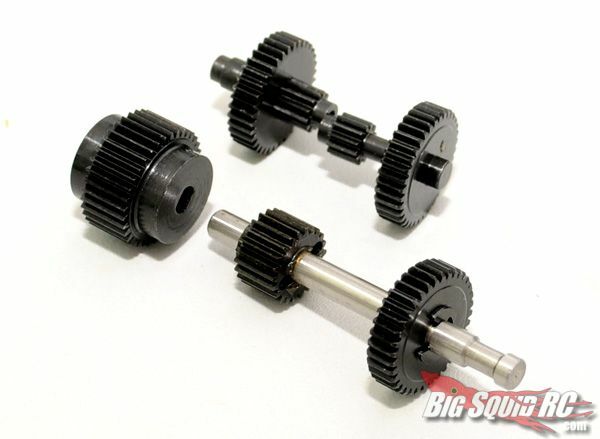 RC4WD Hardened Steel gears for XR10 « Big Squid RC – RC Car and Truck News, Reviews, Videos, and More! Plastic, nylon, delrin gears… who needs ’em huh? They’re always a weak link in any drive train and one of the first recommended upgrades when you’re stepping up to the mega power of brushless or high torque crawler systems is to change those gears for some metal equivilents. But even in some situations those metal parts might not be up to the job. RC4WD knows that, and that’s why they’ve introduced a new line of Hardened steel gears for the Axial XR10 super crawler. One kit includes five gears, enough to completely convert one axle to hardened goodness. These gears are a little weightier than the stock gears, which RC4WD says lowers the center of gravity, offering better crawling performance. RC4WD will be selling them for $39.99, and they should be available very soon. Check out the RC4WD website for more info.